Walking into the MOA makes you feel small, both physically and historically. 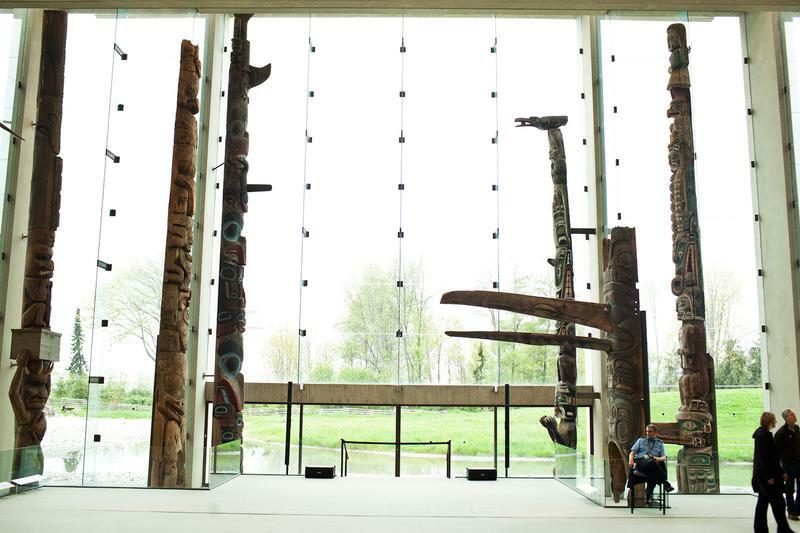 The main hallway of the building opens up to totem poles and house posts that almost touch the Arthur Erickson designed ceiling. MOA is one of the jewels of UBC, with over 45,000 objects in its collections, less than 10,000 of which are available for the public to view. The overwhelming majority of these are still semi-hidden within those copper-handled drawers. Inside those dim drawers, there are artifacts from almost every culture you can imagine, (yes, even Florida) – though most of them don’t provide much information beyond the culture and use of the item. Fortunately, I am only taking four classes this year, and have time to do just that. The Ndebele are a Bantu speaking group in southern Africa, with the majority living in what is now Zimbabwe and South Africa. The southern Ndebele people are more well known, both for their beadwork and for the intricate designs that they paint on their houses, a practice that originated in oppression by the Boer in the 1880’s. Fast forward to the apartheid period, and Nelson Mandela and his African National Congress were federally banned. 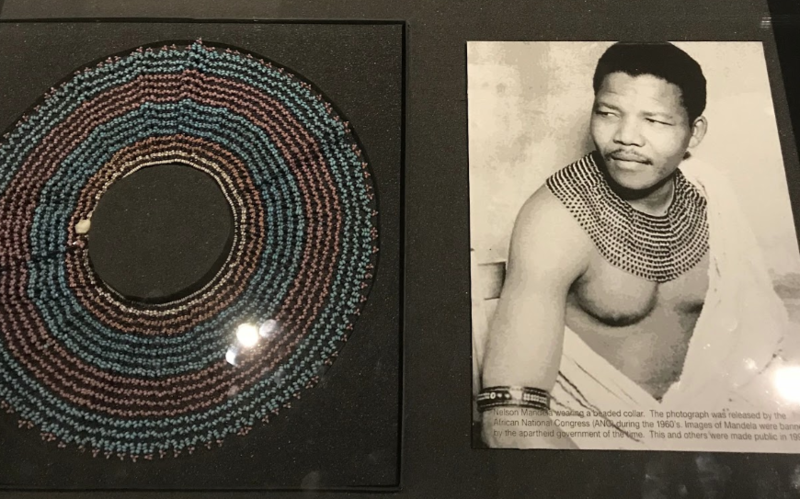 Images like this, of Mandela in an Ndebele collar and traditional dress, were censored on South Africa. This piece is underneath a small display about the resistance and adaptation of South African peoples during apartheid, but deserves a place on the table. 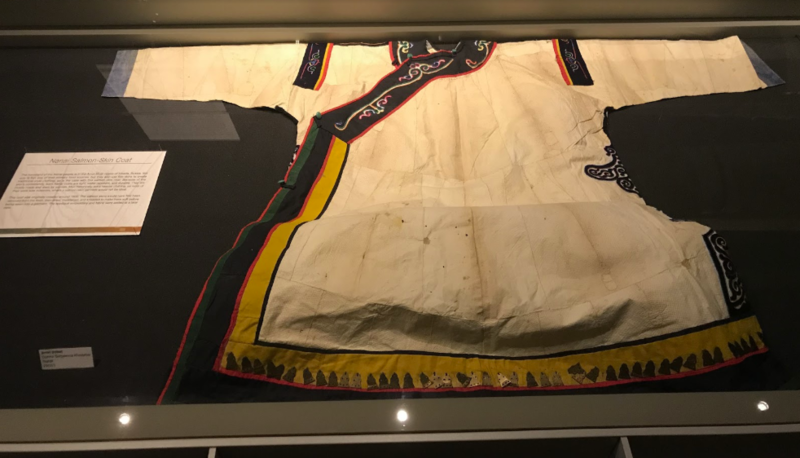 This robe is from Khabarovsk, a city close to the Chinese border in Siberia, and is a traditional robe of the Nanai people used for. The Nanai now largely live in Russia, as the majority of the Nanai population in China were killed during the Japanese occupation of World War II. The robe is made of salmon skins stitched together, then hammered to make them as soft as cotton. 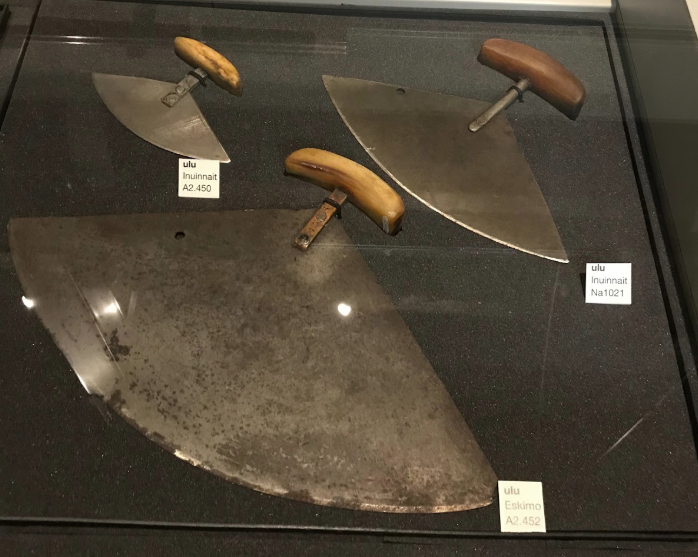 Ulu are general, all purpose knives used by many Indigenous people up in the far arctic. Before European contact, ulus were carved out of the bones or antlers of animals, as smelting technology isn’t possible when the ground is frozen solid. Nowadays they are still used as a general purpose chef’s knife by people unafraid to lose a digit or two. If you want to see a video of this knife in action – not for the faint of heart – here’s a video of an Inuk woman butchering and cooking polar bear and caribou, all with an ulu. Hidden Treasures is an ongoing column, dedicated to finding some of the best-kept secrets that MOA has to offer. If you would like to contribute to Hidden Treasures, email culture@ubyssey.ca.